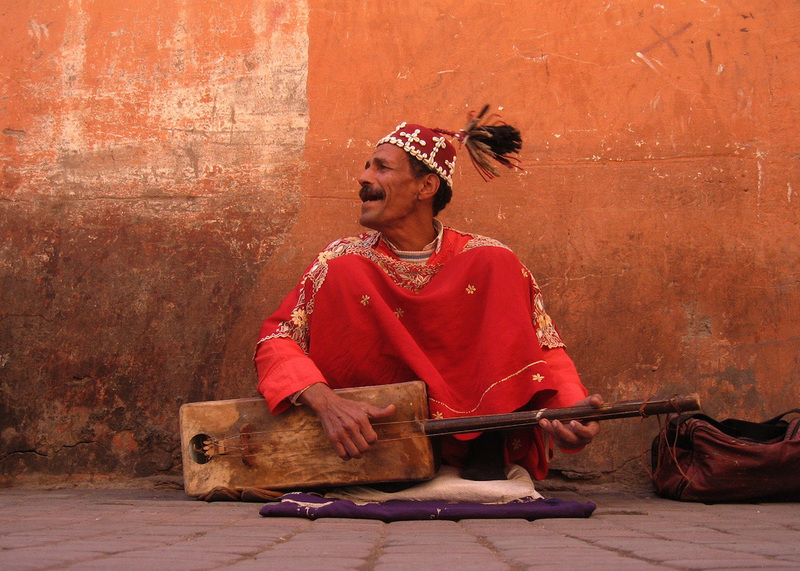 Morocco - Photos - Where in Our World? Here are photos of the Tafarout. You can see some traditional houses. You can also some some lovely scenery. Ben Tachfine Dam has the country's motto is carved into the dam. It reads God, Homeland, King. There is some very interesting scenery in the desert. Have a look at the pictures below. Here are some photographs of the mountains. Some of the beaches in Morocco are very popular with surfers. You can see why from these pictures. Fishermen use the caves to store their nets and other equipment. 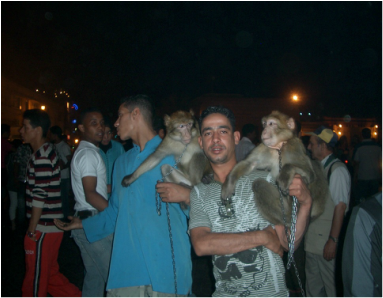 Here are some pictures of Casablanca. Here are a few photos from Immouzzer. Essaouria is a fishing port. The Portuguese called the town Mogador. They built a fort which can still be visited. In ancient times there was a dye factory in Essaouira where purple dye was extracted from seashells. It was incredibly difficult so the dye was only used to dye togas for Imperial Romans. Djemma el Fna is a square in the middle of Marrakech. It is a very popular place. 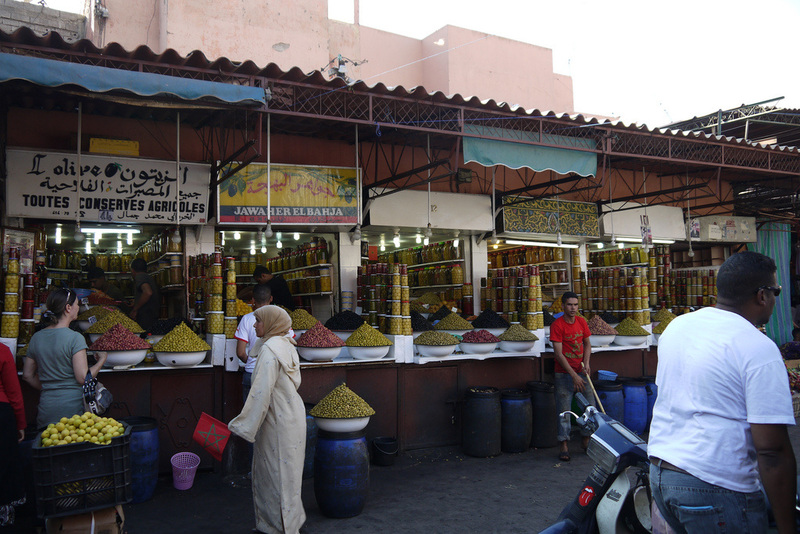 You can buy lots of things in the square such as dried fruit, fresh orange juice and spices. You can also buy fresh water from the water sellers. 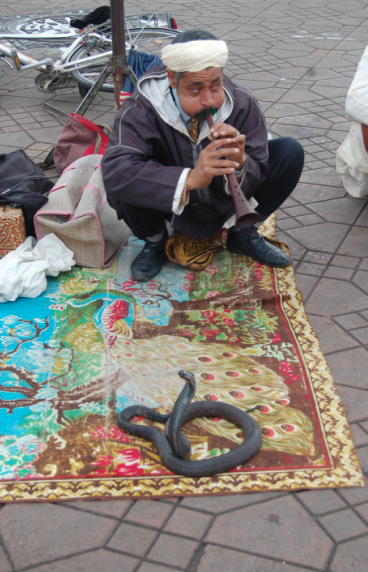 You can see snake charmers and men with Barbary apes. You can also see dancers and musicians playing traditional instruments. 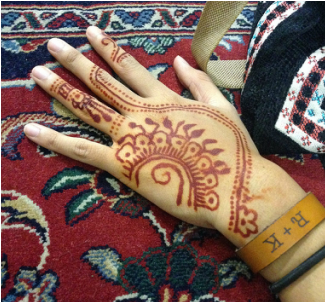 You can also get a henna tattoo. 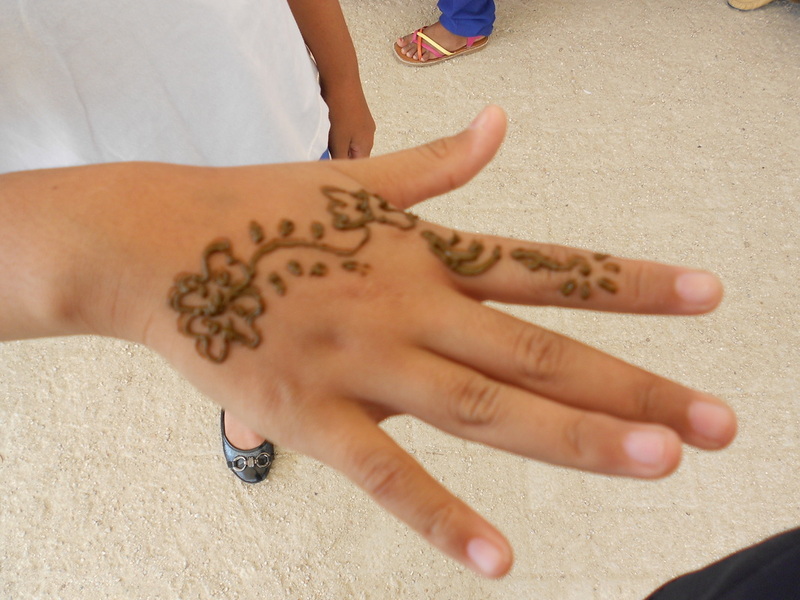 The henna tattoo is first piped onto the hand. It is left on the skin for a while. When it is removed you can see a beautiful pattern on the skin. 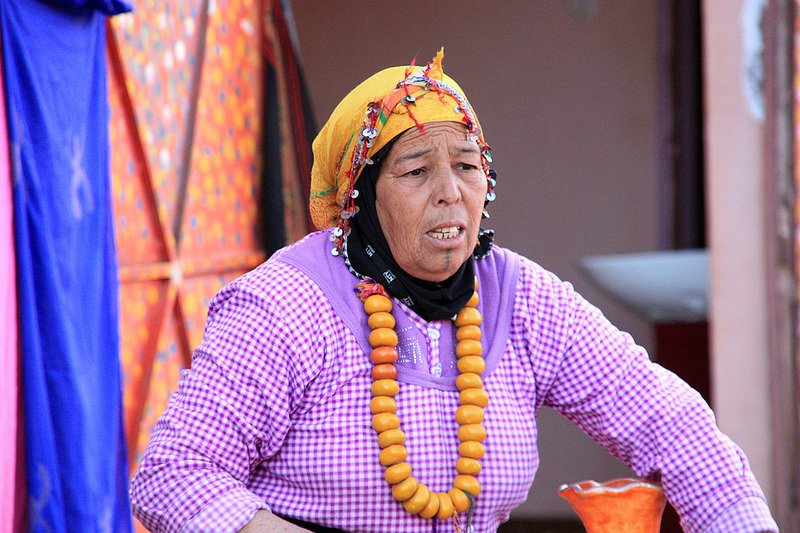 Berber women sometimes have tattoos. They are on their chins or across their forehead. Djemma el Fna is a very popular place. At night the square is even more exciting than it is during the day. Food stalls are set up. You can eat a lot of interesting food such as dried fruit, salad, meat and even snail soup! 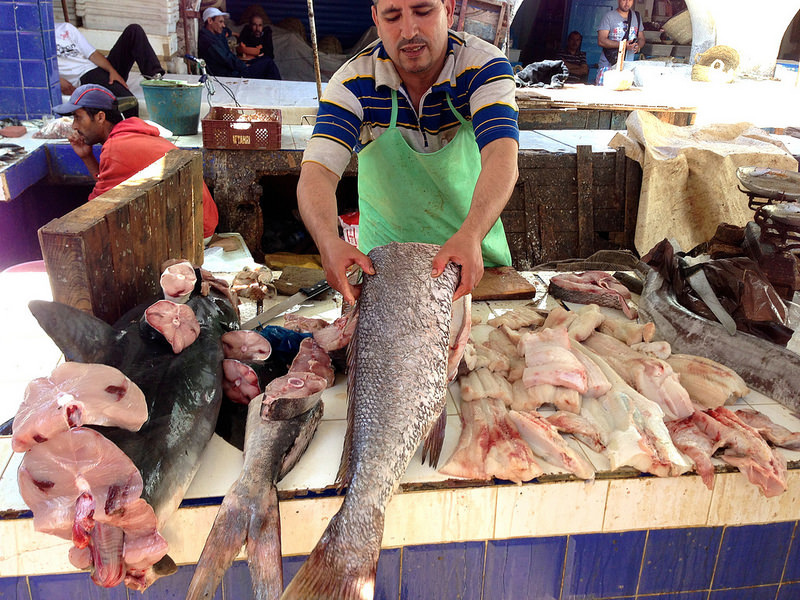 The souq in Marrakech is very interesting. 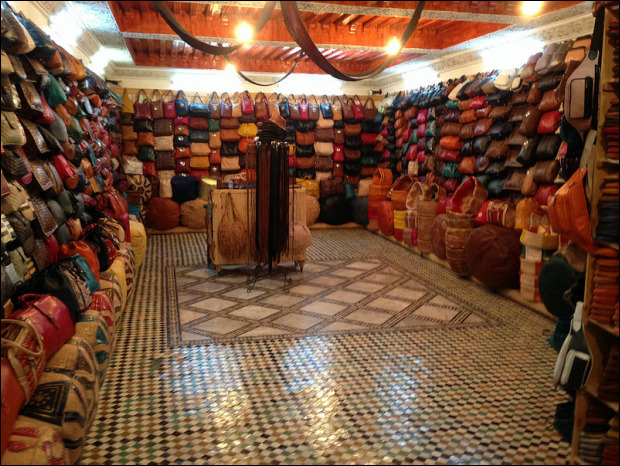 You can buy lots of interesting things in the souq such as leather bags and shoes, pottery, baskets, wooden boxes, lamps, spices, fruit, etc. You can also see the craftsmen working. There are lots of twists and turns in the souk so don’t get lost! Haggling is part of the culture here so when you want to buy something you must be prepared to haggle. 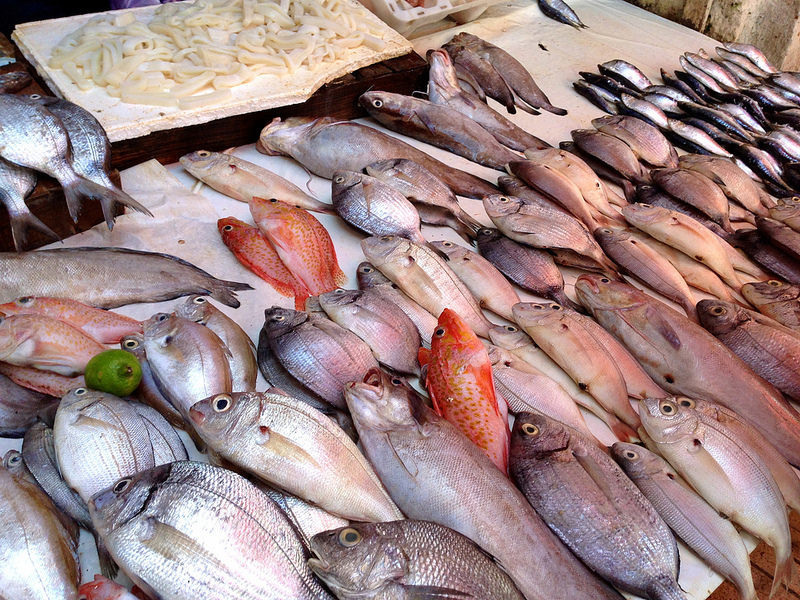 There are a lot of interesting shops and stalls in the souq. In the pharmacy you can get traditional medicines. In the perfumery you can buy fragrant perfumes. 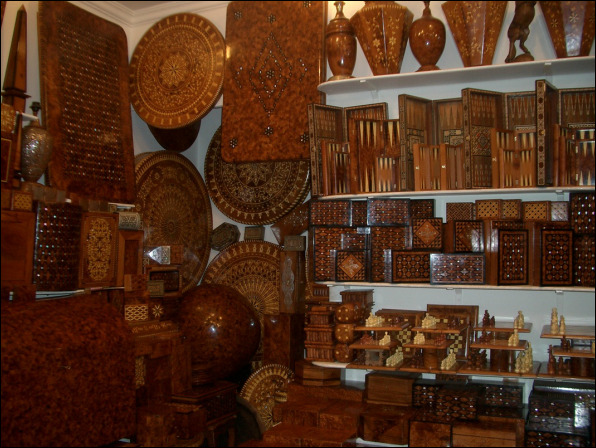 Each area in the souq specialises in certain crafts. For example there are areas that specialise in leather goods such as bags and shoes. The area around the tannery is very smelly because they have to use goats urine and pigeon faeces to make the leather soft. The workers have to stand in the vats all day stamping on the leather. 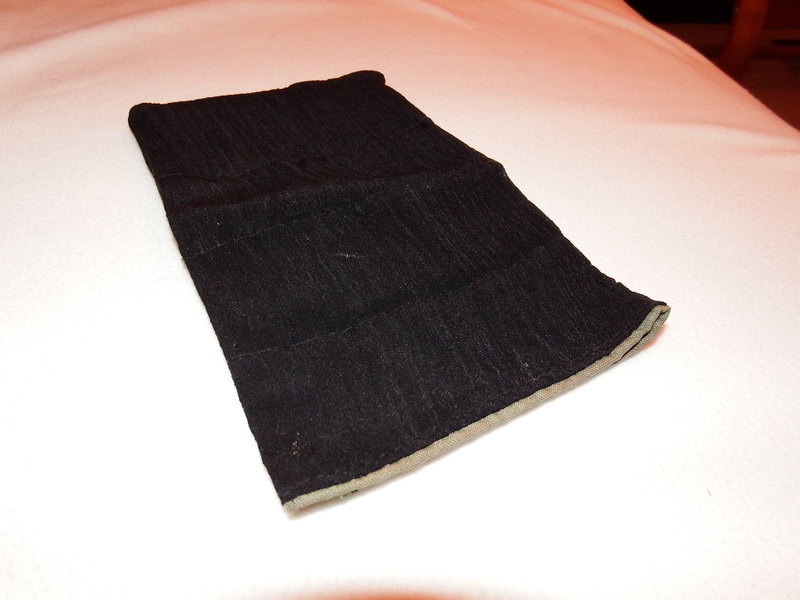 After the leather has been dyed it is stretched out to in the sun to dry. 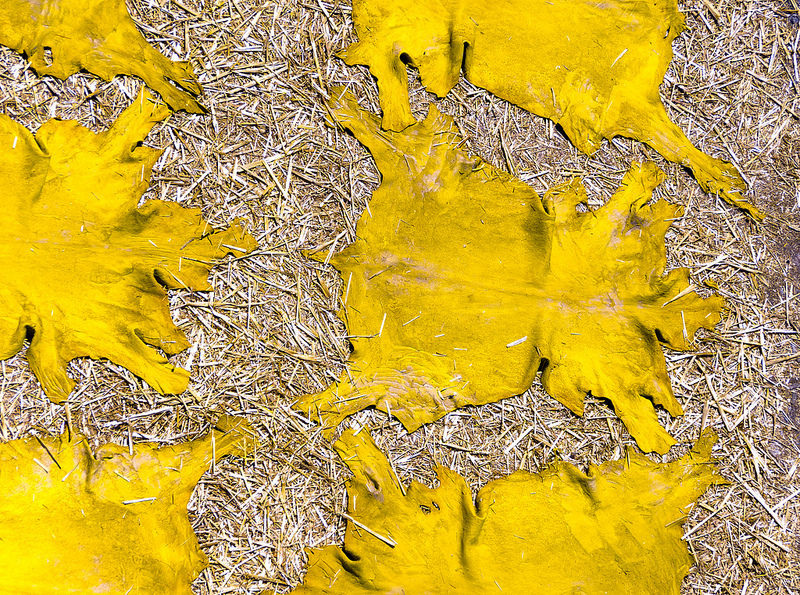 When it is dry it can be used to make all kinds of leather goods. Other areas specialise in making items such as lamps. The workshops in this area are very noisy. Click on the video below to see a man working on a lamp. Watch the video below so you can see how the tiles are carved. Pots and dishes like these are made by hand. This is how the pots are made. When they are made they are fired in the kiln. Then they are painted with brightly coloured paint. Other areas are for selling food such as fruit and vegetables. The medina is the old walled part of the city. 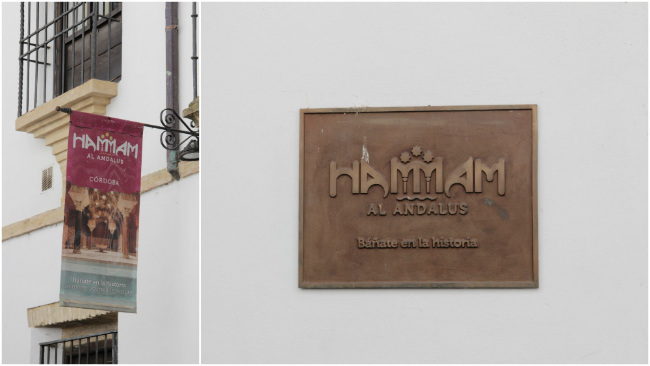 In the medina there are some very interesting buildings. Read about them below. 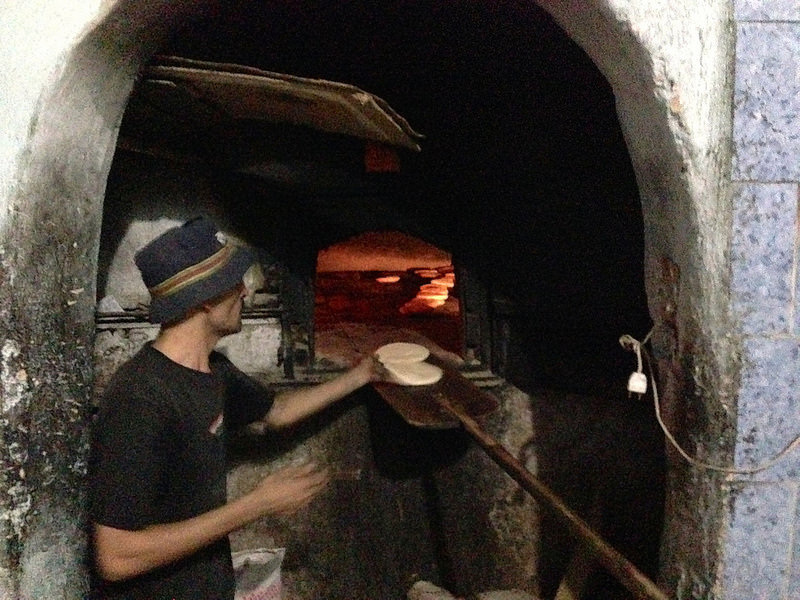 There is no oven in a lot of the houses in the medina therefore the people bring the bread to the public bakery. The baker puts them in the oven. The people come back later when they are ready. 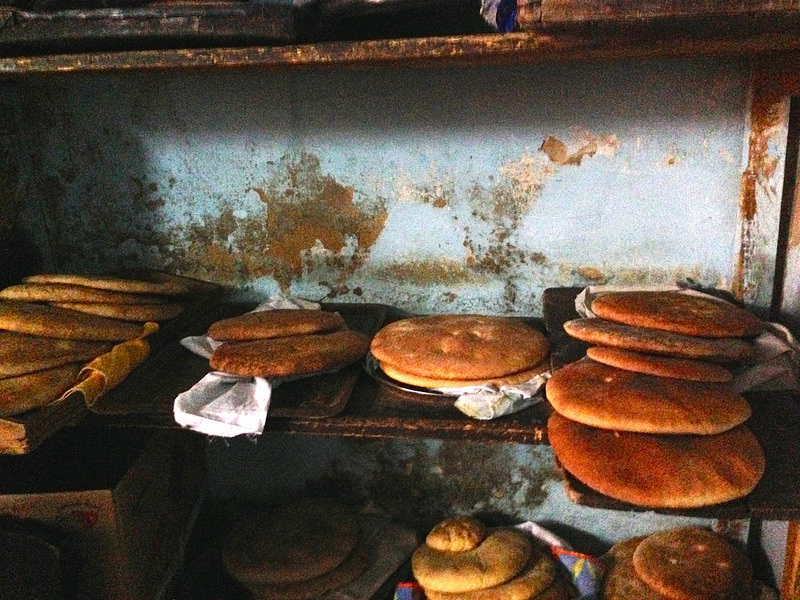 All of the loaves are a little bit different so that the baker knows who owns the loaves. 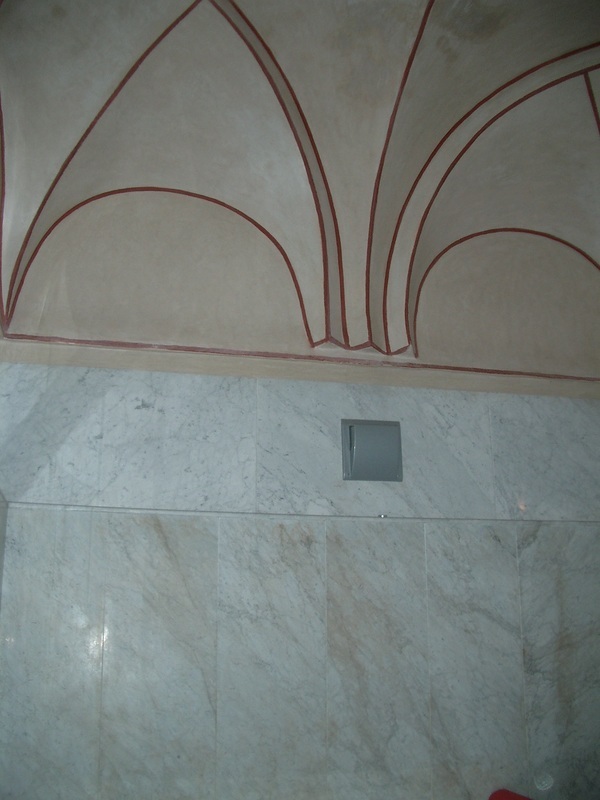 The hammam is a public bath. 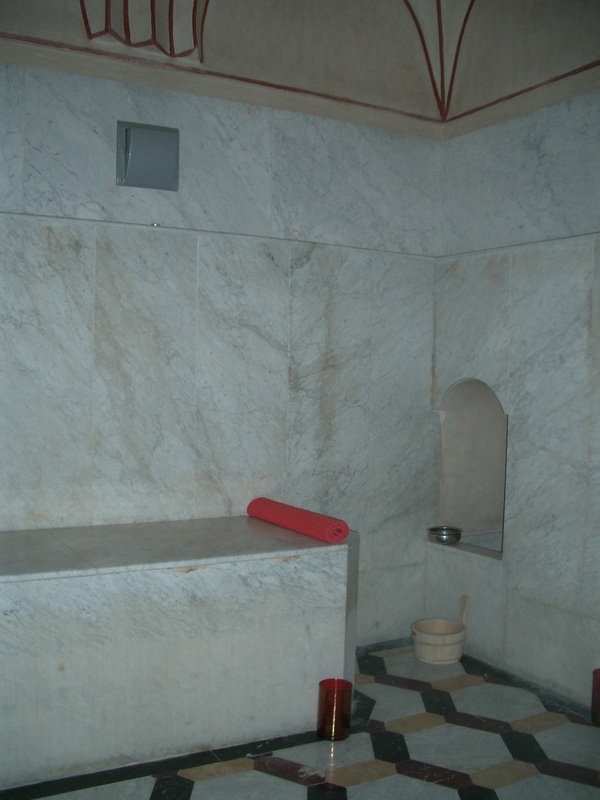 People go to the hammam to wash themselves. A man is employed to keep the fire burning. The fire heats the rooms and the water in the tank. 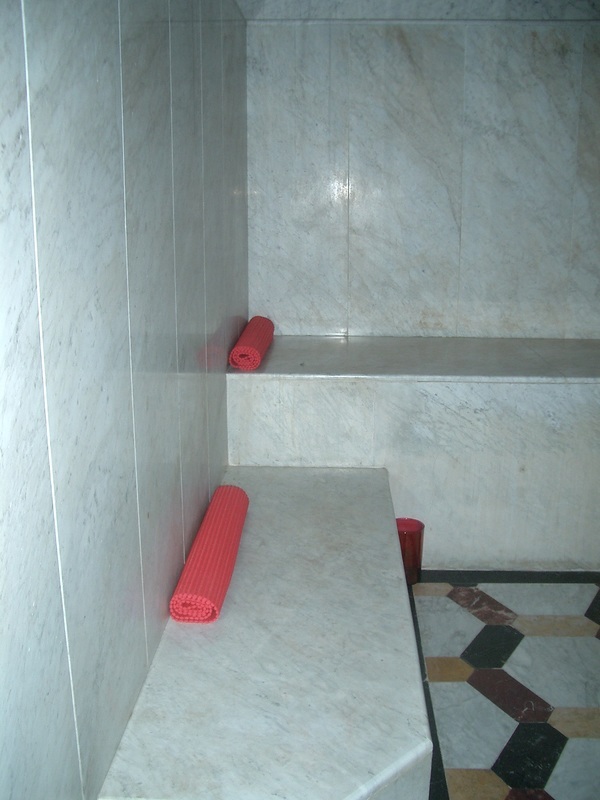 The rooms in the hammam are kept very hot so that you sweat. 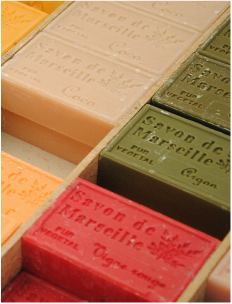 You wash yourself with soap made from argan oil and a mit. In some hammams there are two doors, one for the men and one for the women. But in others there is only one door so the men and women have to go at a different time of the day. When you are ready washing yourself you drink a nice cup of tea! 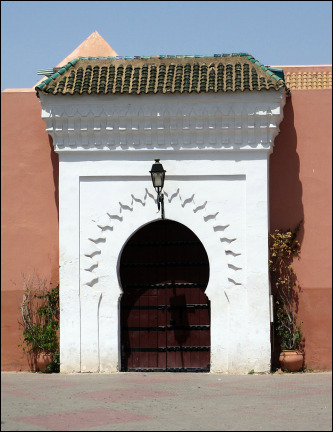 Riads can also be found in the medina. Click on the photograph to learn about riads. 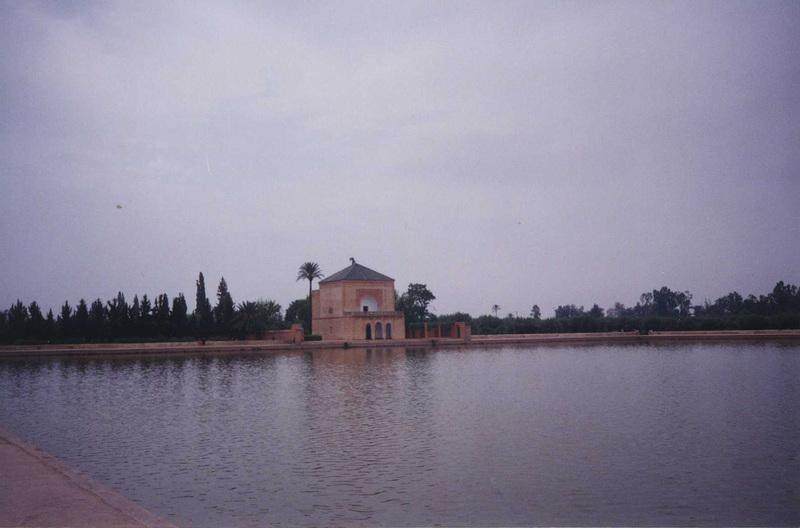 There are lots of interesting and beautiful buildings to be seen in Marrakech. Look at the pictures below to see some of them.